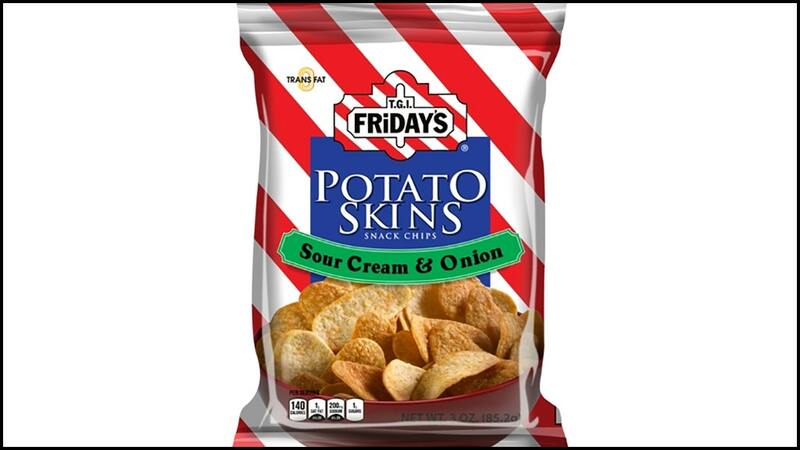 1; bags of which are sold in vending machines across the country – actually potato skins at all. Just for "potato flakes" or "potato starch." Under federal law, the suit states, a food is deemed misbranded if it is an imitation of another food but does not contain a label stating that it is not real. Troncoso alleges that the company is trying to cash in on the fact that most snackers see potato skins, which TGI Fridays offers as an appetizer in its eateries, as a nutritious option compared with standard convenience store fare. Under federal law, the suit states, a food is deemed misbranded if it is an imitation of another food but does not contain a label stating that it is real. The private equity firm Sentinel Capital Partners became the majority owner of the Carrollton, Texas-based restaurant company in 2014. TGI Fridays did not immediately respond to a request for comment. This story was originally published by the New York Post.